Based on the know-how of several decades and on the basis of numerous patents, EBNER’s product range covers a wide field of thermal process engineering. EBNER builds evaporation and vaporization plants for the concentration of highly corrosive salt solutions, acids, alkalis, production waste waters and organic liquids. EBNER has valuable experience gained with various media. 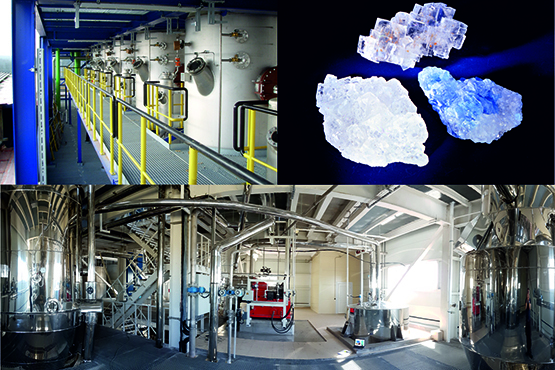 EBNER builds plants for the crystallization and separation of substances from solutions and waste water, for the regeneration of pickling and spin baths and for the recrystallization of salts. EBNER has a wealth of experience with various media. EBNER builds systems for degassing solutions under vacuum, especially for spin baths. EBNER also builds plants for the partial condensation of water and CS2 from waste air streams of the viscose fiber industry.